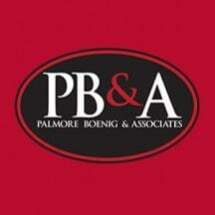 At Palmore, Boenig & Associates, PC, we are fully committed to supporting clients with personalized legal counsel. Our team is proud of the strong ties we have established with the local community, judges and courts in Athens. Criminal law: We dedicate our full attention to help secure results for clients facing criminal prosecution for driving under the influence (DUI), drug-related crimes, underage drinking, felonies and more. Personal injury: Our lawyers can help protect your right to obtain the compensation you need to address medical bills and lost wages resulting from auto accidents or medical malpractice. Employee discrimination: Our firm fights for the rights of workers against sexual, race, age and other forms of workplace discrimination. Our law firm proudly supports the local community through numerous charity events and functions. We have a lengthy history of helping University of Georgia students through challenging situations, including DUIs, underage drinking and alcohol possession, motor vehicle accidents, sexual assault, charges and more. In each case, we strive to forge a personal bond with our clients to offer optimal counseling and advocacy services to achieve the best possible outcomes.